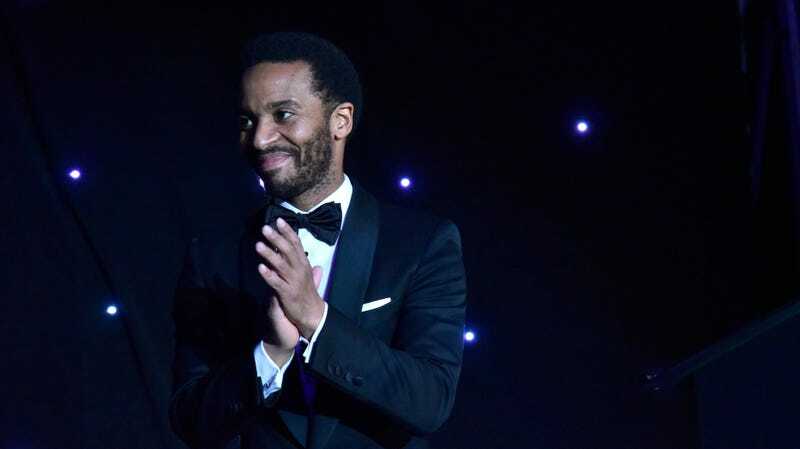 Andre Holland speaks onstage during the Jackie Robinson Foundation 2019 Annual Awards Dinner on March 4, 2019 in New York City. Movie lovers likely remember well the 2017 awards season, which brought us the revival of the big screen musical with La La Land versus the stunningly beautiful coming-of-age story that was Moonlight. Of course, Moonlight would eventually nab the Best Picture Oscar that year in a stunning upset, but the competing filmmakers and casts maintained that the season and even the reversal of fortune had brought them together and created lasting camaraderie. But soon, those of us who appreciated the merits of each film can experience the best of both worlds with Netflix’s The Eddy. The long-awaited musical drama, first announced in 2017 (via Vulture), is executive produced by La La Land writer-director Damien Chazelle, and has just announced Moonlight’s long lost love, André Holland as its lead. Holland plays Elliot Udo, a talented American jazz pianist who owns a struggling club in Paris and has an on-again-off-again relationship with the club’s lead singer. When his 15-year-old daughter shows up, emotionally stunted Elliot must face the music. Six-time Grammy Award winner Glenn Ballard (Alanis Morissette’s Jagged Little Pill, Michael Jackson’s Bad) will write songs. Frankly, we didn’t even know Holland could sing (though he can clearly play one hell of a jukebox); but we do know he has proved magnetic in pretty much every scene we’ve seen him in. While Netflix has yet to declare a release date, Variety reports the series is scheduled to start shooting in Paris later this year. What’s New and Black on Netflix in February, the Calendar’s Blackest Month?